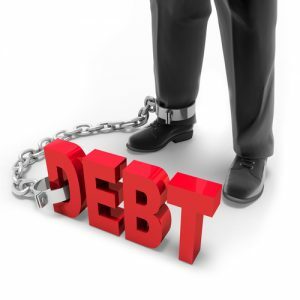 Here is the conclusion to our blog series Non-Dischargeable Debt in Bankruptcy. While the information provided herein may be enlightening and helpful, be sure to contact Denver Bankruptcy Lawyer Arthur Lindquist-Kleissler when you are ready to receive a professional case evaluation, as well as some advice regarding your best debt relief options. Wrapping up the first two parts of this blog series, which focused on discussing the types of debt that are always non-dischargeable, as well as when the courts may deny the discharge of some debt, here, we will highlight when and how creditors may take action to make sure certain debt is declared to be non-dischargeable debt in bankruptcy. In some cases, creditors can petition the courts to declare certain debts to be non-dischargeable debt. Contact us for more info about non-dischargeable debt in bankruptcy. A hearing will be held. During this hearing, creditors can present evidence to support their requests to try to persuade the court to rule in their favor (i.e., deny the discharge of certain debts in a bankruptcy case). The court will make its decision. It’s important to note here that, if creditors don’t specifically file a motion to request this hearing, then the debts that are usually discharged through bankruptcy will be wiped clean by the proceeding (unless, of course, the court finds some other reason to avoid granting this discharge). Certain credit card debt – When credit card debt has been accumulated within 90 days of a bankruptcy filing and the total amount of this debt exceeds $650, creditors may ask the court to deny the discharge of this debt. The courts may be inclined to grant this request to creditors when there is sufficient reason to believe that a person may have committed bankruptcy fraud (by running up credit card charges when knowing that he was planning on filing for bankruptcy in the near future). Certain debt related to cash advances – When cash advances are taken out within 70 days of filing for bankruptcy and these debts exceed $925, creditors may petition the court to not have these debts discharged (for the same reasons as explained above). Additionally, creditors may request that any debt accumulated as a result of fraud and/or malicious acts to others not be discharged through a bankruptcy case. To minimize the possibility of creditors getting some of your debt declared non-dischargeable by the courts, make sure to contact Lindquist-Kleissler & Company, LLC for help successfully filing and resolving your bankruptcy case. Are you overwhelmed by debt or facing a serious financial crisis? If so, Denver Bankruptcy Lawyer Arthur Lindquist-Kleissler is here for you. Ready to help you figure out your best options for resolving your financial issues, Mr. Lindquist-Kleissler is skilled at effectively guide his clients through bankruptcy and help them achieve the best possible outcomes to their cases.